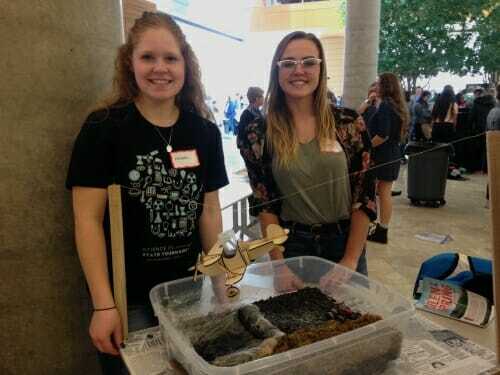 Nine hundred students from 26 high schools in Wisconsin gathered on the University of Wisconsin–Madison campus April 9 to complete an intensive study of Silent Spring, a 1962 classic of popular science literature that helped launch modern environmentalism later in the decade. In Silent Spring, author and biologist Rachel Carson explored the health consequences of the exploding use of chemical insecticides, particularly DDT. Many credit the book for raising awareness of the impact of synthetic chemicals on the environment and human health, and setting the stage for major environmental laws such as the Clean Water Act, the Clean Air Act, and the Environmental Protection Agency, founded in 1970. In 1968, evidence from the UW–Madison’s zoological museum showed that DDT was destroying bald eagle eggs. 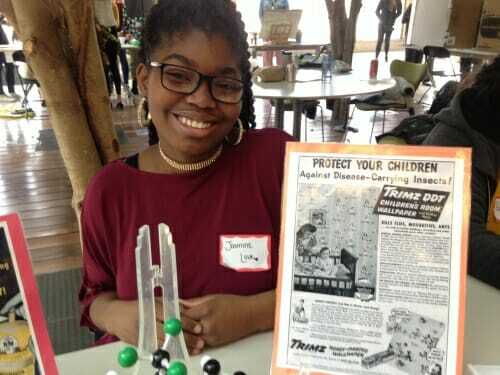 Wisconsin became the first state in the nation to ban DDT. In the afternoon, the students presented table-top displays with a scientific or artistic response to the environmental issues raised by Silent Spring. The conference culminated the 14th Great World Texts program, organized by the UW–Madison Center for the Humanities. 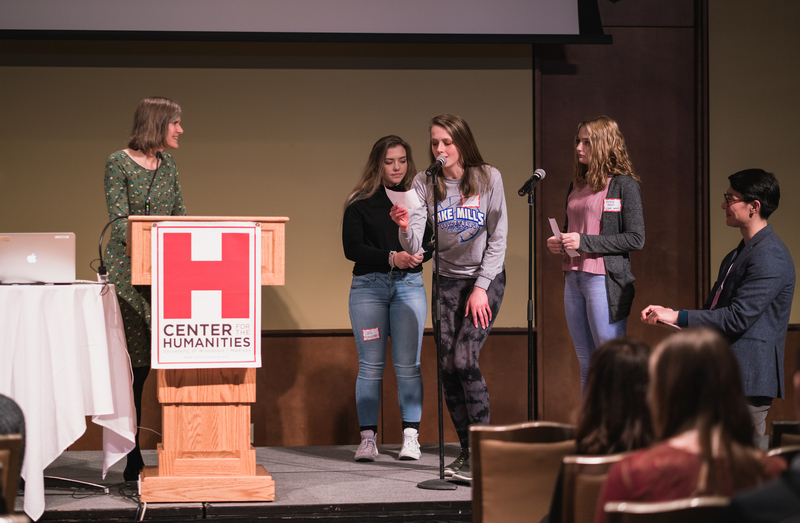 Participating students spend the school year studying a work of literature, using curriculum material provided by the program, and then they come together on campus in the spring to share their experience through projects they create and present. English teacher Dee Beasley brought 17 advanced placement English students from Osseo-Fairchild High School. “We are a very small, rural district, and this provides our students a platform, not to compete, but to see that their education is comparable to what students in larger schools receive, and it makes them feel part of a larger learning group,” she said. Support for this year’s program comes from A.W. Mellon Foundation, the Evjue Foundation, UW–Madison Libraries, the Department of History, the Anonymous Fund of the College of Letters & Science, and the Wisconsin Department of Public Instruction.